Outdoor, nature, scenic and wildlife photography is my passion. After nearly 15 years as a locomotive engineer I changed careers in 1985 to pursue a career as a professional photographer. I accepted a position as tourism photographer for the WV Dept of Commerce in December 1985. For nearly 30 years I photographed the scenic beauty, wildlife, tourist attractions, outdoor recreation and businesses in WV. My tourism photography was used in hundreds of publications to promote the great state of West Virginia. 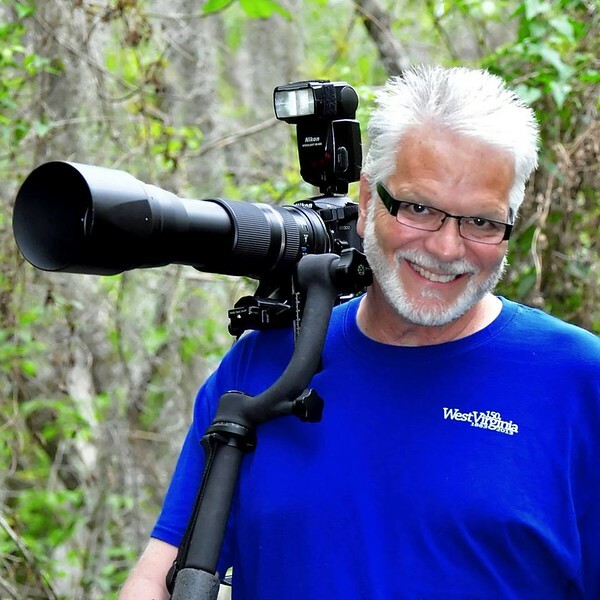 I have been the owner of Steve Shaluta Photography since 1978 and have pursued a freelance photography career separate from my WV Tourism job for 40 years. From both careers I have had over 350 cover images, and thousands of images published in magazines, newspapers, brochures, billboards, books etc. I personally am the author or co-author of 12 books including two 11x14 full color coffee table books about WV. I retired in January of 2015 and moved to Leesburg, Florida in 2018. I now pursue wildlife and bird photography almost exclusively, but still do an occasional freelance assignment and sell photographs from my website at www.steveshaluta.com. I have been fortunate to have had a career that included my love of photography...life is good.